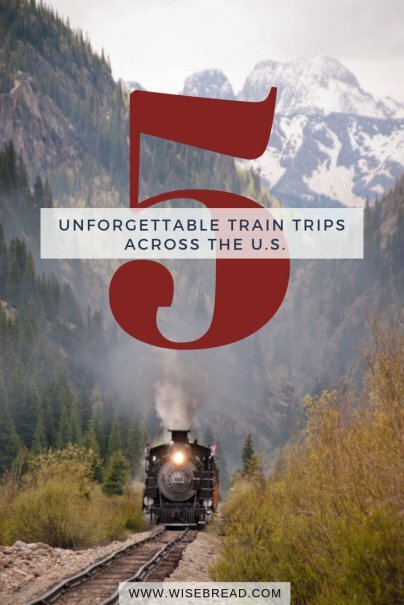 Home » Personal Finance » Cars and Transportation » 5 Unforgettable Train Trips Across the U.S. Train travel might be a thing of the past as far as a transportation mainstay, because it's much easier to hop on a plane and be across the country in a few hours rather than a few days via train. But if you're the type of person who loves looking at the passing scenery while on road trips, a train trip might be just the thing for you. In fact, it could be even better, because you don't even have to worry about driving. On a train, all you need to do is kick back and enjoy the view. This long-distance Amtrak experience starts out at Union Station in Chicago and winds its way through the plains of Iowa and Nebraska. Lest you think the route is full of cornfields, however, the train starts ascending into the Rocky Mountains in Colorado, passing by the ski town of Winter Park and into Utah. You can enjoy the red rock canyons that make Utah famous, and on hot days, thank your lucky stars that the cars have air conditioning as you pass through Nevada and into California. From here, the train passes through the Sierra Nevada until its final stop in Emeryville, California. You can book coach seats for as low as $171 one-way on this train, however, be warned: This doesn't include any of your meals, and you'll need to sleep in your seat the entire way. If you prefer a private cabin with a bed and the smallest bathroom ever (literally — the toilet is inside the shower stall), you'll need to pay closer to $700 for the ride. 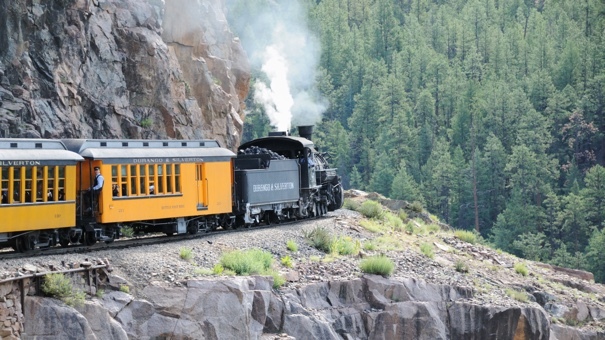 If a short jaunt back in time is more your style, consider Colorado's Durango and Silverton Narrow Gauge Railway (named after its tracks, which are nearly two feet narrower the tracks on most trains, so as to better handle sharp mountain curves). This train has been in continuous service between these two historical towns in southwest Colorado since 1882, when it was launched to help carry silver and gold ore from remote mines in the San Juan Mountains. It's even been in 20 different Western movies, including Butch Cassidy and the Sundance Kid, and How The West Was Won. 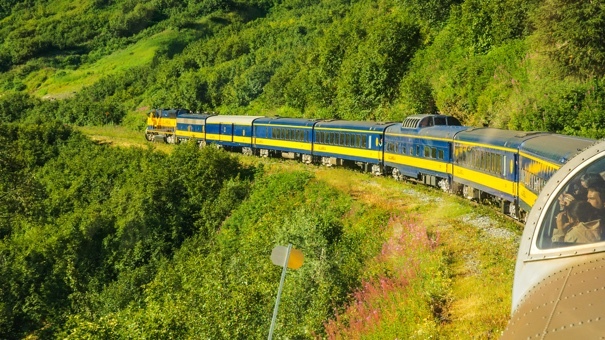 Alaska is known as one of the most scenic places in the world, and one of the best ways to see all the sights is by train, since you won't need to be focused on driving safely through its narrow mountain roads. There are several train routes throughout the state, but one of the best is the Coastal Classic train. This train winds through thick, foggy forests along Turnagain Arm, where you can see the famous resident belugas and other whales if you're lucky. It used to be that if you wanted to see the Grand Canyon, the way to get there was by this very train, which began operating in 1901. Sadly, once cars took over, the train fell out of favor and shut down in 1968. The train had a glorious rebirth in 1989, however, when it reopened for service. Today, it's estimated that the train helps keep 50,000 cars out of Grand Canyon National Park. Northern New Hampshire's Mount Washington is the tallest peak in the Northeastern U.S. Luckily, if you're not a mountain climber, you can actually take an authentic cog railway — a train specifically designed to climb and descend steep inclines — all the way to the top and back. This train began operating in 1869 as the world's first cog railway. 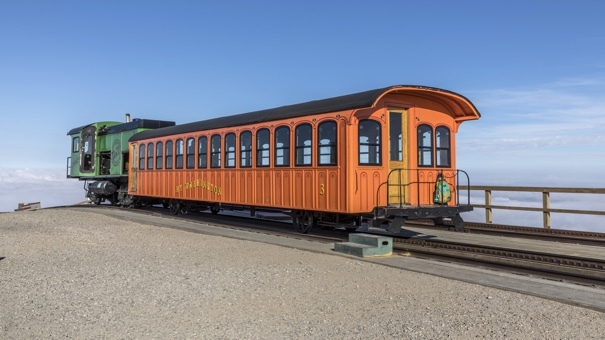 Even though the train operates many environmentally-friendly biodiesel trains today, there's still a chance you could ride on one of the antique coal-powered trains. For this reason, the railway recommends wearing "dark clothing," to keep you from walking in wearing whites and come out wearing grays. A round-trip ticket will set you back $72 per adult ($78 if you choose one of the coal-powered trains). You also have the option of paying $51 for a one-way ticket to the top and hiking back down (it'll take about five hours, and it's only recommended for those with the right gear and are in shape). 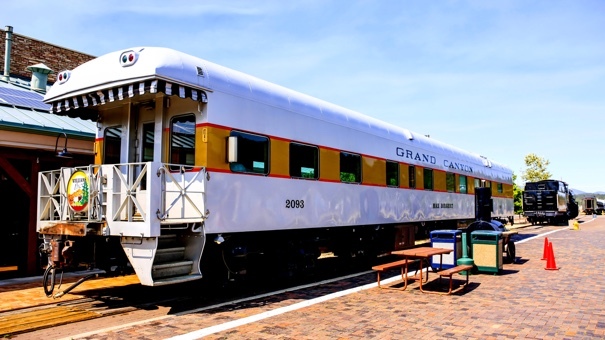 The train trip up only takes an hour before reaching the summit where you can enjoy gorgeous, breathtaking views of up to five states at once, and even the Atlantic Ocean on a clear day. Bon voyage!